When deciding whether to stay or go, focusing on what you can control helps make the transition process easier. Below, I share five strategies and activities from my own experience to help you build awareness around your next professional steps, manage the emotions associated with transition and stimulate job search progress. Consider what might be prompting you to consider a transition. Have you outgrown our current role? Are you ready for a promotion? Do you want to experience a new functional area or role within your office but are uncertain of the next steps to take? Are there personal circumstances initiating a location change? Recognizing your reason for transitioning will help you strategize for your transition. 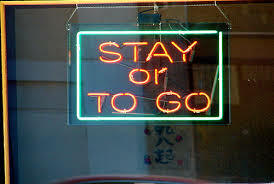 Understand what “going” and “staying” mean to you. It is best to consider both outcomes in order to maximize your opportunities for growth and match your next position with what you want next. I created a vision board, journaled and spoke to professionals in my field(s) of interest. Conducting informational interviews with those in your target functional areas help you learn how to leverage your experiences and gather tips from experienced professionals on how to transition effectively. Additionally, I spoke regularly with trusted mentors to process my emotions, determine strategies and confide in those with more experience in higher education. Complete a job analysis. This past fall, I completed this activity as required by the college’s Human Resource department. As a result, I was able to understand the percentage of time and importance I placed on each task within my role, identified the work I had outgrown and valued as well as owned the skills I gained. Subsequently, I presented what I learned in this process and within the context of the professional goals stated in my end-of-year evaluation to my supervisor. She responded several months later by offering me the chance to move into an internal position that suited my career aspirations. Through that position, I now support and advise alumnae regarding ways to engage with our career development office, current students and the college. You, too, can complete this process in order to create a dialogue for your own transition by asking your HR department for their form. Update your job search materials. Spend time targeting your resume, cover letter, LinkedIn, Twitter and other social media accounts to your search goals. 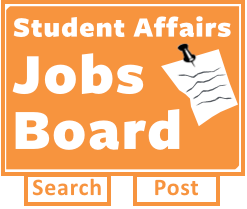 Follow institutions that interest you, identify resources for the job search process and and connect to other professionals or graduate students in higher education who are searching for professional opportunities on social media. Clarifying your intentions and creating community help you and employers gain clarity regarding your next steps. Keep track of your reflections and realizations while in transition. Being in a state of transition can last for some time. When I started to lose energy, I would revisit those thoughts. The intentionality helped me gain further clarity, confidence and control over the transition process seeing the themes that arose over time.